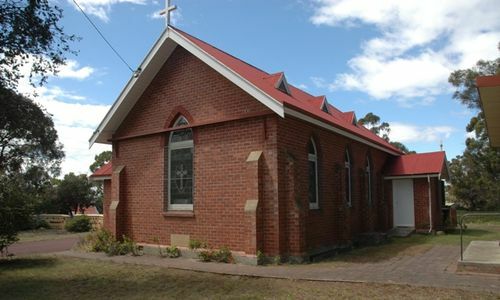 St Martins Anglican Church was built as a memorial to those who served in World War One. The foundation stone is at the front of the church. To the greater glory of God and in grateful memory of those who fought in the Great War 1914 - 1918.